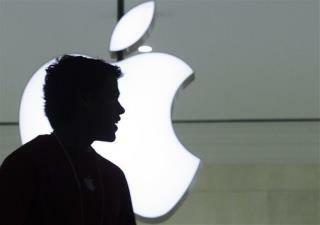 (Newser) – Irony alert: Apple uncovered 29 "leakers" in the company last year and had 12 of them arrested, according to an internal memo leaked to Bloomberg. "Leakers do not simply lose their jobs at Apple," the memo reads. "In some cases, they face jail time and massive fines for network intrusion and theft of trade secrets both classified as federal crimes." Last month Apple fired an employee who leaked details "from an internal, confidential meeting about Apple’s software roadmap," the memo says, and last September an employee was caught for leaking the "gold master of iOS 11" to the media. Both times leakers said they doubted they'd be caught. "But people who leak—whether they’re Apple employees, contractors or suppliers—do get caught and they’re getting caught faster than ever." I remember the first time I saw my own software 'pirated.' I had developed a data system for a special Medicaid project and had intended to charge a per seat price for the users across the state, but the woman I was working for didn't understand the distinction between the main database and the site client. I decided there was more money in the work remaining to be completed than there was in arguing about it so I let it go but it sure impacted my willingness to 'borrow' software. Leaking intellectual property is illegal. It's illegal to steal and disseminate trade secrets. Giving those secrets to the press or competitors or the public has consequences. Tech companies are the biggest revenue and job generators in the US, so selling out to competition is harmful to out economy. No cash out, not worth the leak. There has to be some $ incentive behind it. To leak for the sake of power stroke is not worth it. Pay me, then I’ll leak important stuff. Now to embarrass a top dog at Apple who I never liked, I might reconsider. The press is sometimes a bunch of hooligans.